I can’t remember which Bond movie it was that had a similar ship in it, but it may have been based on the USS Independence. 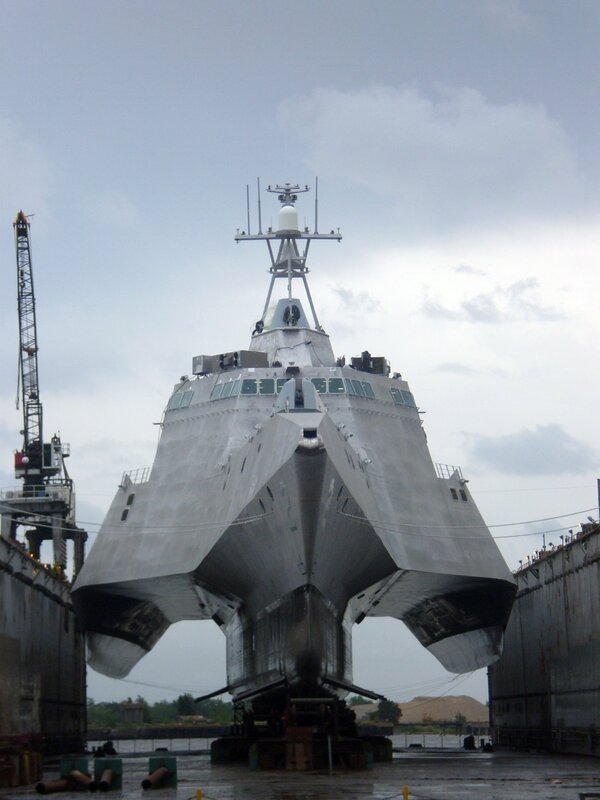 USS Independence (LCS-2) is the lead ship for the Independence variant of the littoral combat ship class. She is the sixth ship of the United States Navy to be named for the concept of independence. The design was produced by the General Dynamics consortium for the Navy’s LCS program, and competes with theLockheed Martin-designed Freedom variant. It looks stealthy, stable, fast and very roomy. Here is a larger version of the photo above, and here’s the Google Image search result.